Just because you’re gluten-free, doesn’t mean you have to miss out on your old creature comforts like chicken noodle soup! I’m going to put myself out on a limb here and ask…am I the only one who didn’t realize how easy gluten free egg noodles are to make?!? The error of my ways began when I assumed it wasn’t possible, ruined a pot of chicken soup with a package of store bought gluten free noodles, and waved goodbye to yet one more delicious recipe gluten and dairy free had “stolen” from our menu. Are Egg Noodles Gluten Free? There are a lot of people wondering if egg noodles are gluten free. The answer is…it depends! I know, I know, but it only depends on the flour that was used to make them. So, if you look at the ingredients on your bag of egg noodles, look to see what kind of flour was used in making them. Chances are, unless the bag states “gluten free egg noodles” then they’re not. BUT, it turns out gluten free egg noodles are just as easy to make as their wheat (and dairy) counterparts, so if you were used to making your own before, it’s the same minimal effort you remember. 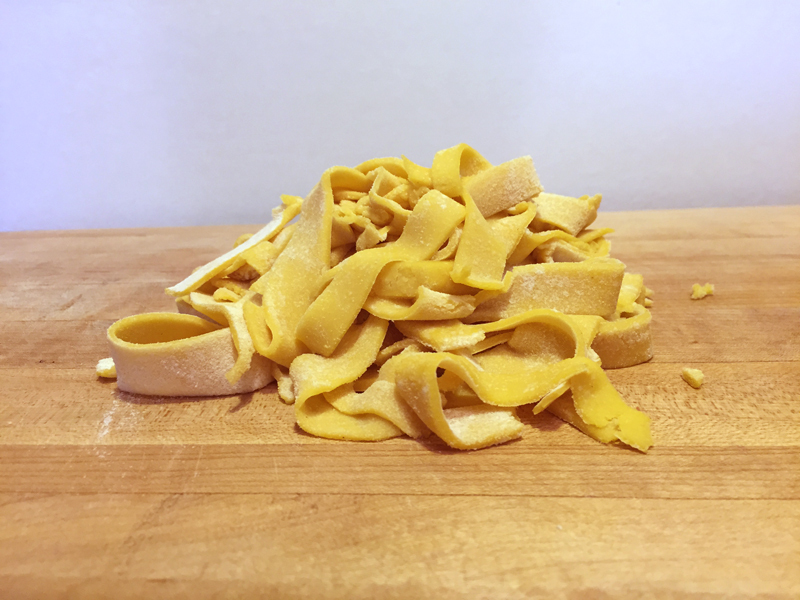 If you have never made homemade egg noodles, may I encourage you to give it a try? I think you’ll be surprised just how easy these noodles are to make! Ingredients in chicken noodle soup can be a matter of taste, but once you incorporate bone broth and homemade noodles, I think you will agree that they are unarguably the most critical ingredients. Without them, I honestly wouldn’t bother. Hence, the aforementioned abandonment of chicken noodle soup for years…that’s right…years. Other than the broth, chicken and noodles, we like to add sauteed onions, garlic, carrots and celery. Some salt and pepper (to taste) and a little rosemary. It’s as easy as that! This cold and flu season, chicken noodle is making a comeback in our kitchen. Will it be a star in yours? Light and fluffy egg noodles that are gluten and dairy free. Perfect for chicken noodle soup on a chilly evening. Add eggs and oil, and mix with flat beater. If dough does not begin to hold together, add nut/seed milk one tablespoon at a time. 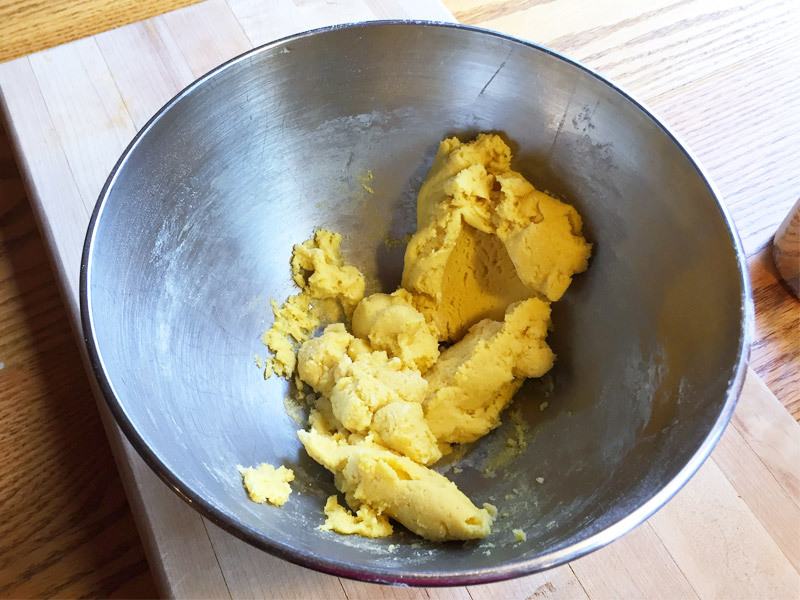 Shape dough into a ball, and roll out on a well floured surface from 1/4 -1/8 inch thickness. Cut into strips, and allow to air dry for about ten minutes for easier handling. 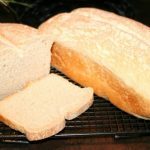 *If you don’t have a batch of gluten-free flour mixed up, do this step first by following this recipe. This recipe is perfect for chicken noodle soup. Add some bone broth to a large pot, cut up your favorite soup veggies (onions, carrots, celery), and add to pot then season with salt and pepper. Simmer until veggies are al dente, then add noodles and simmer for 15 minutes more. The last five minutes, add diced chicken and frozen peas (if you like). Enjoy! Gluten-free, dairy-free chicken noodle soup! After you’ve rolled your egg noodles out and cut them into strips, use a flat, metal spatula to help lift them off your work surface without breaking them. If you don’t have a small pastry cutter, a pizza cutter or just a sharp knife will work, too. Be sure your work surface is dusted generously with flour to keep the egg noodles from sticking. 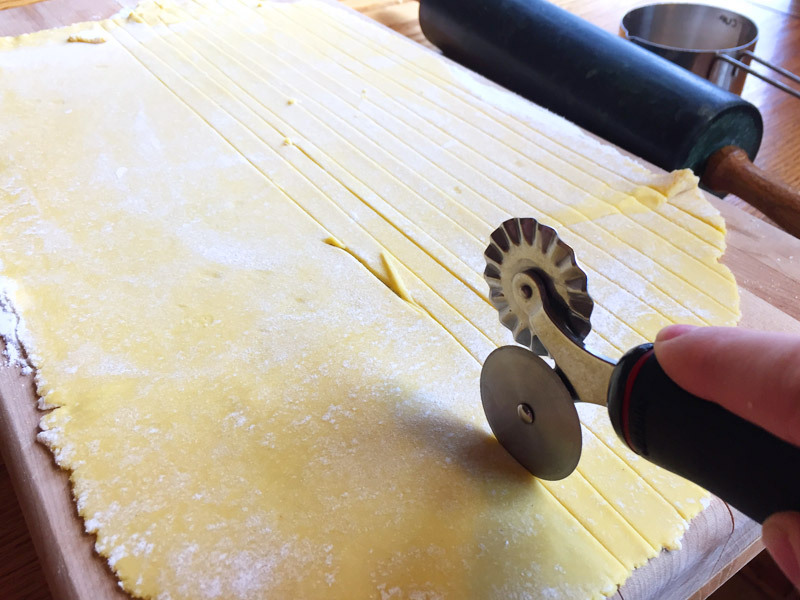 Once you cut your egg noodles, it’s good to dust them with a little extra flour to keep them from sticking together (this is also nice because it will thicken your soup up just a bit while the noodles cook). When baking with gluten free flours, it’s always great to have a batch of the flour mixed together. You can use store bought brands of gluten free flour, like this, however we find buying each flour individually (in larger quantities) and mixing it together ourselves saves money. Mix up a large batch at the beginning of the week to have on hand for all your gluten free baking needs! If you find your noodles are breaking too easily, the dough might be too dry. Try adding a some more nut milk, 1/4 tsp at a time until a nice, soft, workable dough is formed. The great thing about egg noodles is they’re SUPER hard to mess up. If you add too much flour, just add in some extra nut milk, if your dough is too sticky, add more flour. We love to have quick and easy meals on hand for busy weeknights. Want to have easy, gluten free egg noodles in a hurry? Make up a double or triple batch and freeze the noodles in the serving size that works for your family. Looking for good store bought gluten free egg noodles? This is the only gluten free brand we’ve been able to try…the good news is, they’re one of our favorite companies! It’s a great idea to have a few bags of these for back up! Try swapping out regular gluten-free noodles for egg noodles. We love egg noodles in our chicken noodle soup…but I also love using egg noodles for spaghetti or as a base for creamy alfredo sauce topped with sauteed mushrooms, onions and chicken. You can also use egg noodles in countless casserole dishes. Try swapping lasagna noodles out for egg noodles, layering them just the same, and making a gluten free lasagna! The ideas are endless…it just takes a little creativity and experimentation. Soon enough, you might even find yourself making these homemade noodles on a weekly basis. But don’t forget our tip about making a triple batch and freezing them in individual servings. This is by far our favorite time saving strategy! 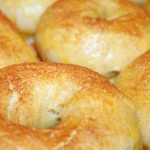 Looking for additional gluten free recipes? Hi! I'm Kourtney. A simple North Idaho native who adores her husband and enjoys mothering her boys. My oldest son has severe asthma and allergies. His needs have led us to adapt to a gluten/dairy free and limited tree nut diet, as well as educating ourselves about environmental exposures that can compromise his health. If you could peek into my world you'd likely find that I'm a humbled mess. But by the grace of Jesus, He takes this mess and shows me how to adjust to a new lifestyle. What we once thought were challenges have now become blessings of improved health, as well as a source of encouragement through friends along the way. It's my hope to be an encouragement to you too! 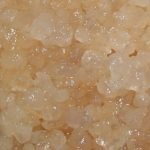 I’m trying to replace my gluten egg wide noodles for beef stroganoff I make in instant pot- how do these hold up in the instant pot? Jenn, I haven’t tried these in the instant pot, but I’d be afraid they might turn to mush. These are fresh noodles, not dried, so the high pressure and length of cooking time in the IP probably wouldn’t yield a great end result. If you do happen to give it a try, do let us know how it turns out! Hi! Thank you for this recipe. I’ve never made egg noodles before, but I would love to give these a try. 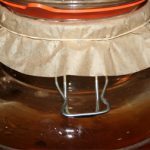 Question: so when you have your hot stock going on the stove, these just go in and cook in the broth? No baking? That’s right Ruth! They cook right in the broth (and in a shorter time than hard, store-bought noodles). Enjoy! Hi, Trying to just print the recipe. This one wants 13 pages. If I try to print just the recipe it’s on 2 pages. I figure it’s just a glitch, but you should know so it can be fixed. Nannce, thanks so much for bringing this to our attention! We’re working with the creators of our recipe plugin now to remedy this issue. It should NOT take 13 pages for one little recipe! 😉 And welcome! We’re glad you’re here!